Most people today are stressed out by the fast pace of life. In the UK alone, 45% of sick days are due to stress. Some, 12 million adults in the UK have stress related mental health problems. We have a stress epidemic on our hands. 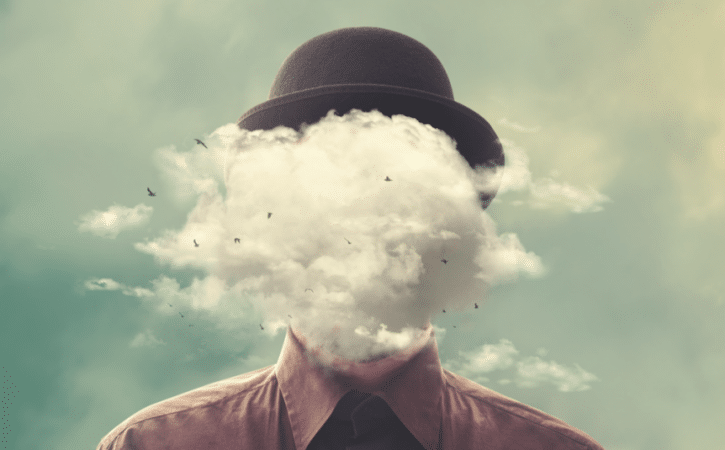 It’s no wonder that mindfulness has rapidly gained interest in the science community (and the media) for its far reaching, drug-free, mental health remedies. Mindfulness is a very simple form of meditation that was little known in the West until recently. It’s a mind-body medicine practice, based on ancient Zen buddhist meditation techniques popularised by Jon Kabat-Zinn, a researcher at the University of Massachusetts Medical School. Mindfulness increases emotional health, leading to long lasting, positive changes to mental wellbeing, not only can it resolve mental health problems but it’s an excellent preventative. People who have good emotional health are aware of their thoughts feelings and behaviours. Mindfulness encourages emotional awareness through short meditation practices. 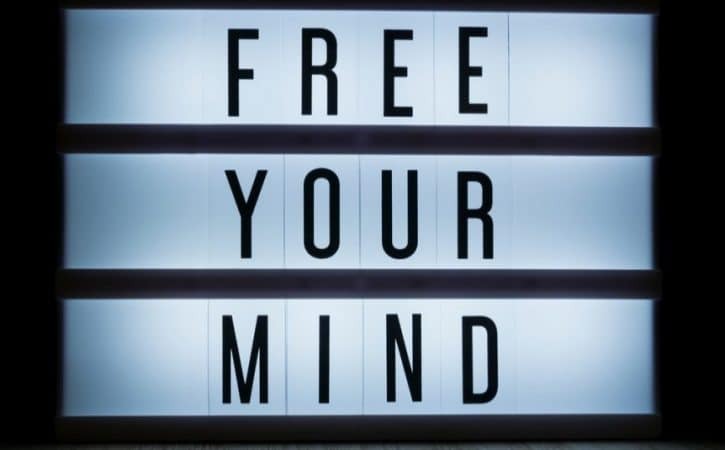 Mindfulness meditations involve focusing your attention to your thoughts, taking time to observe them individually, in a non-judgemental manner, as they enter and leave your mind. In essence, mindfulness allows you to catch negative thought patterns before they tip you into a downward spiral. It helps you to understand what you are feeling, at any one time and peacefully, overcome any unpleasant feelings, such as anxiety. It is a form of brain training. Do you ever wonder why you can advise your friend in ways you can’t advise yourself? This is because we lack objectivity in matters concerning ourselves, we can take things personally and react emotionally, not logically. By incorporating mindfulness into our thought process, we train our minds to logically process a situation and react in an appropriate way. Over time, mindfulness brings about long-term changes in mood and increased levels of happiness and wellbeing. Scientific studies have shown that mindfulness not only prevents depression, but that it also positively affects the brain patterns in relation to anxiety, stress, depression and irritability so that when they arise, they dissolve away again more easily. Meditation is not a cult or a religion it’s simply a method of mental training. You don’t have to sit cross-legged on the floor or hum (you can if you want to). Meditation is a very personal practice and can be carried out in anyway you prefer. I do walking meditation and driving meditation, using up the time to and from work or social events. Meditation is not an airy fairy, hippy-dippy concept. It’s a scientifically backed way to combat mental illness (of which stress is a large contributor) and importantly it has heaps of other benefits, that last for the rest of your life, promoting increased happiness and prevention of mental decline. Mediation does not take a lot of time, although some patience is required. It becomes a part of your life, you just have to make the time to start. Read more about mindfulness and it’s benefits here. Sometimes your mind just needs to be listened to. Once it feels like it’s been heard, it will settle down. During this time, write down what you’re thinking, feeling and anything else that surfaces during this window. Do this for the total time you’ve allotted to this practice (around 15-20 mins) and then stop. Once the time is up, let your mind know that its had it’s say for the day. Any erratic or unfocused thoughts will not be tolerated until the following days diary session. Then, keep to your word. Refuse to pay attention to any other unfocused/irrational thoughts until the allocated time. In short, we encounter Adversity (or, an Activating Event, as per Ellis’s original model). How we think about this adversity creates Beliefs. These beliefs then influence what we do next, so they become Consequences. An example is – you yell at your P.A because they forgot to print a key report before your meeting (Adversity). You then think, “I’m a really terrible employer” (Belief). You then perform poorly during your meeting, because your self confidence has plummeted (Consequences). The key disconnect occurs between Adversity and Belief. When you encounter adversity, how you tend to explain it to yourself directly impacts your mindset and your relationships. Seligman calls this your “explanatory style,” and he says that it is a habit that influences your entire outlook on life. Be mindful of how you communicate events to your mind. Your explanatory style can lead your mind to drastic assumptions based on your own incorrect beliefs. Understand your explanatory style here. For example, pessimists are more likely to assume that the causes of bad events are permanent, for example, if a pessimist has an an “off day” at work, it would be perceived as “I shouldn’t bother with my job because I’m clearly incompetent” whereas, optimists would interpret the situation as “Yes, my work today hasn’t been great but that’s because I’m having an off day”. The difference may be subtle but it really matters for your outlook. Meditating is, by far, the most effective way to train your mind. There are lots of different methods of meditation, they are by no means easy to master. However, once you familiarise yourself with the mediation practice, you’ll become skilled at controlling your thoughts. Conflict is a fact of life. It can and will arise at any time. The most important thing about conflict is how you resolve it, it really can make or break a relationship, it’s your choice. The first step to conflict resolution is to decide on an appropriate strategy. You can only decide on a strategy when you understand which type of conflict you are dealing with. Personal or relational conflicts are usually about identity or self-image, or important aspects of a relationship such as loyalty, breach of confidence or lack of respect. Instrumental conflicts are about goals, structures, procedures and means: something fairly tangible and structural within the organisation or for an individual. 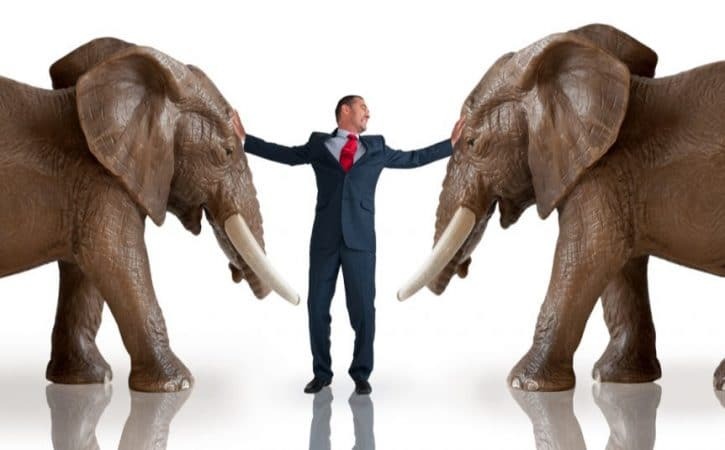 Conflicts of interest concern the ways in which the means of achieving goals are distributed. They may also be about factors related to these, such as relative importance, or knowledge/expertise. An example would be a couple disagreeing over whether to spend a bonus on a holiday or to repair the roof. Typically, as a guiding rule, the earlier you deal with a conflict the better. This is because positions are not so entrenched, other people haven’t been involved and the negative emotions are not so extreme. Don’t react – this is usually most appropriate for personal or relational conflicts, where a comment has been made for a specific reaction from you.It takes two to play tug-of-war, and if you refuse to engage, there is no game to be played. An intentional pause serves as a mirror for the antagoniser. Let their words reverberate in the silence. Hopefully, this will inspire reflection and awareness. Importantly if you refuse to sink to the same level, you can be the bigger person and anchor the conflict in a more civil place before it spirals downward. Dont mask your feelings with anger – this can be used in all three conflict scenarios. If a comment/response is upsetting ensure that you respond from a place of sadness and not anger. Typically when we are angry, it is to protect our feelings of sadness. When we speak from our anger, we can scare people, make them defensive, and negatively impact our relationships. When we speak from our hurt and show our vulnerabilities, we come across as authentic and are not as threatening to others. If we teach others how to care for our wounds, rather than hurt them back, we can expedite the resolution process. Before speaking, check it’s relevance – take advice from Shirdi Sai Baba and ask yourself 3 questions “Is it kind? Is it necessary? Is it true?” If the answer to just one of these questions is no, hold your tongue and choose words that meet all three of these criteria. Be clear about what you need – sometimes we want people to magically know what we need to resolve the situation. This is normal, yet irrational. Speed things along by being specific about what you need (i.e. “I need for you to say you are sorry for calling me that name”). Utilise the aftermath intimacy – yes, conflict is not ideal but if it’s resolved appropriately, you can enjoy the intimacy that comes after. Naturally, you become closer to the other person – you have just survived a conflict, together, which highlights the fact that your relationship has value. Working on conflict resolution, is a life-long process. It’s an excellent tool for introspection. If you are strong enough to admit mistakes and ignore a damaged ego, than you will start to enjoy improved, deeper relationships. Public speaking is a common anxiety. However, the more you publicly speak, the less anxious you become, right? Wrong. Even, if you’re a daily public speaker, there will always be an occasion when you feel anxious. This occasion is typically before a “high pressure public speaking window” for example, pitching to new clients, closing a huge deal or before an interview. These high pressure scenarios rely heavily on our performance which in turn increases our anxiety, it’s a vicious cycle. Here are 5 ways to eradicate the pre-nerves, allowing you to perform your best in a high pressure public speaking window. The fact is, people don’t remember many of the words you say, but do remember how you make them feel. Do you remember all of the words to your favorite performance at the theatre? Probably not, but you will remember how performance moved you in some way. If you concentrate more on making the audience feel moved or engaged, then you have little or no time to worry about how you are coming across. This is a scientifically proven method to decrease your cortisol (stress hormone) and increase your testosterone (power/confidence hormone) directly before a high pressure public speaking window. 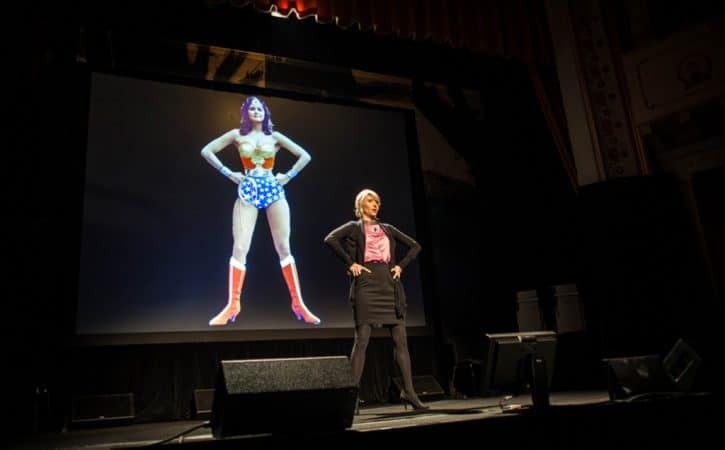 By simply power posing (as shown in above picture) preferably in the mirror, for 2 minutes, before your performance, you can directly impact your chance of success by manipulating your hormones. Read here for more information on power posing. In short, start with the end in mind. Carefully plan your message and practice exactly how you want it to come across. How do you want your audience to feel by the end of your presentation? Avoid PowerPoint and data dumps. Record yourself on your phone, then pick one thing you need to change and do it again. Continue to record yourself until you feel satisfied with your performance. Chances are you’ve been asked to speak about a particular topic because you know something the audience doesn’t. Remember this before your performance. Picture yourself receiving a standing ovation. Positive thinking is crucial before a performance. Positive thoughts create positive actions. It releases feel good hormones into your blood stream which makes you happy and more relaxed during your performance. Ever wonder why some businesses succeed whilst other similar businesses don’t just succeed, they explode? For example Dell vs Apple. They both started around the same time. They both sell similar products. However, it can be agreed that Apple have stomped all over Dell when it comes to bottom line and brand loyalty. I’ve not heard of any hardy Dell fans waiting outside of a Dell store, for the release of a new product. However, jump back to circa ’16 and people are being paid £2,568 a week to stand in a queue, so someone else can be first to get their hands on a new iPhone 7! What is it that Apple are doing differently? Why are Apple’s customers so (obsessed) loyal? I’ll give you a hint. The formula to Apple’s success has nothing to do with their products. Apple and several other dominant market leaders all have one thing in common. They all have the same business model. Instead of being profit driven corporates they are purpose driven corporates. Their business model, A.K.A “The Happiness Model”, looks something like this; Purpose = (engaged team + customer loyalty) = Profits. The Happiness Model, is about communicating your values, from the very beginning by clearly stating why you do, what you do, i.e your purpose. So, cut any commercial jargon and explain, from a deeply human level, why you are adding your business to the world. For example, Apple clearly communicated, from the beginning, that they wanted to make easy to use tech in a world of overwhelmingly fast tech advances. The world resonated with Apple’s human purpose. Whereas Dell focused on commercial points such as, “Here is our shiny new product”, which connected less with their audience. As all good marketers understand, storytelling is the key to audience engagement and powerful branding. How the Happiness Model works. As the Happiness Model formula “Purpose = (engaged team + customer loyalty) = Profits” suggests, the model impacts two key areas “team” and “customers”. 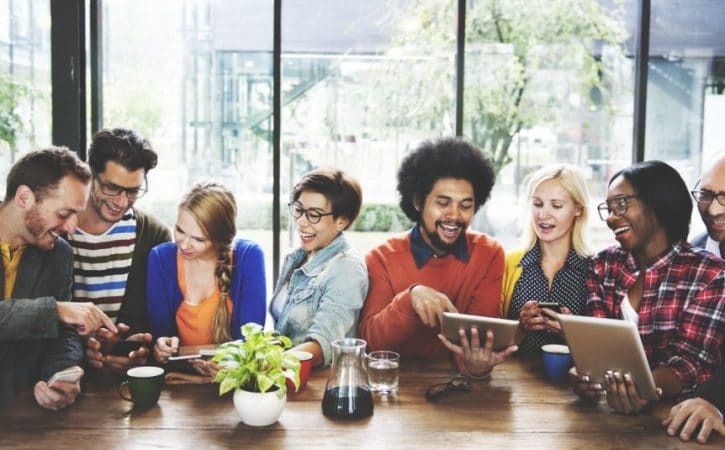 By sharing your story for starting your businesses you are encouraging your customers to connect with you and your values. Maybe your frustrations are the same as your customers. Maybe your story is similar to theirs. Whatever it is, it makes you human and authentic. The customer/business relationship is about trust. By candidly, laying your cards on the table, discussing your needs and hopes, you build trust with your customers at an early stage. Sometimes even before they decide they want your product/service. As Simon Sinek famously stated in his book “Start with Why“, people don’t buy what you do they buy why you do it. Image by Raw Pixel on Shutterstock.